Here’s an interesting thought exercise for you. 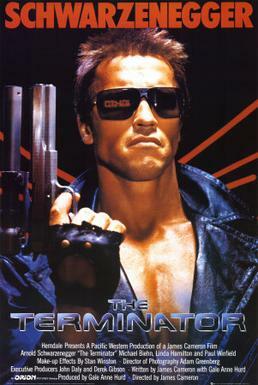 I’ve only seen the first two Terminator movies and an episode of The Sarah Connor Chronicles plus Dark Horse’s RoboCop team-up so my knowledge of Terminator lore is limited. The franchise has spawned a few more movies, comics, novels, and video games. The question the writer poses is…can Skynet truly be stopped in the Terminator universe? Head over there and discuss, because posting here won’t be seen by the person actually posing the question and you should read his short thesis first anyway. Posted by ShadowWing Tronix on January 11, 2018 in Movie Spotlight and tagged Skynet, Terminator, Terminator 2: Judgement Day, Terminator Genisys.